So you’ve seen some interesting pictures of immense ruins or spectacular scenery of South America or maybe you even know some people that have been and you’re wondering if travel to South America is for you? 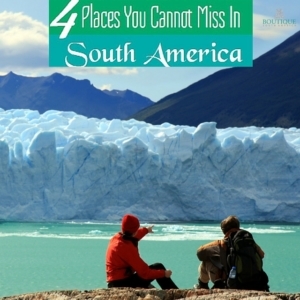 This list is a collection of the best reasons for anyone to consider South America for their next journey. More than simply a list of the top tourist attractions, it examines the underlying features and reasons that make the continent, regions and sights so unique and unforgettable from anywhere else in the world. P.S. This list is no particular order as that would simply ignite too much debate. More than twice the size of Australia in land area and made up of 13 different countries, South America is nothing if not diverse. Whether it comes to food, culture, tradition and heritage or even climate and geography, every country is as different as it is similar to its neighbours and worth exploring in their own right and travel to South America can involve all these different factors. 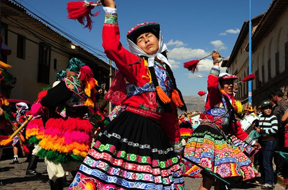 For example, Bolivia for example is similar to Peru in terms of the influence of early civilisations, but the ruins and traditional dress can be quite distinct. 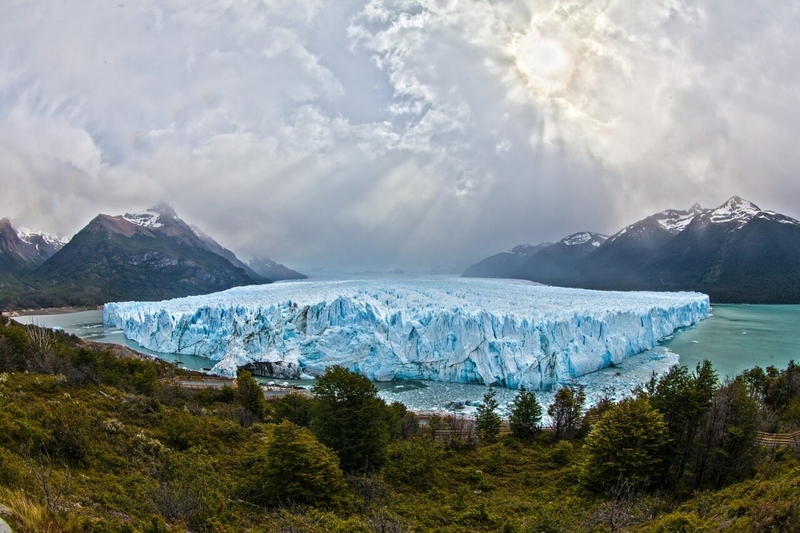 Political rivals Chile and Argentina both have cosmopolitan cities, arid areas, wine regions and even share the remote and thrilling region of Patagonia, but any proud local could go on for hours about the differences between the countries. Some beautifully preserved cities give fabulous insights and act as virtual windows into each country’s past and their unique historical tapestry. 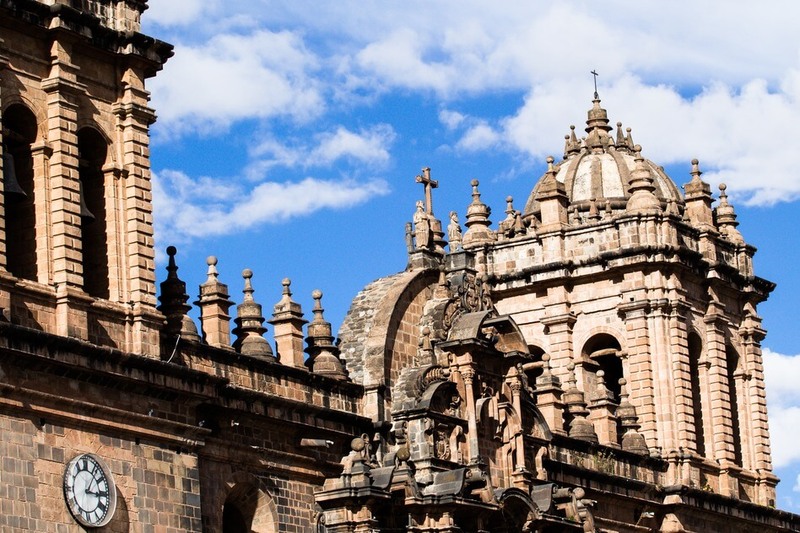 The first capital and port city of Salvador in Brazil, the Inca capital of Cuzco in Peru, the fiercely contested town of Colonia in Uruguay, Cartagena in Colombia and Cuenca in Ecuador are just a few. As well as hosting some incredible architecture, these cities are snapshots into their country’s legacy, whether it be from early settlement, the era of colonial conquest, or as examples of historic and modern immigration patterns. You’ve seen the photos of stunning Rio de Janeiro, but did you know that although the city is home to 6 million people, it is far from Brazil’s largest? 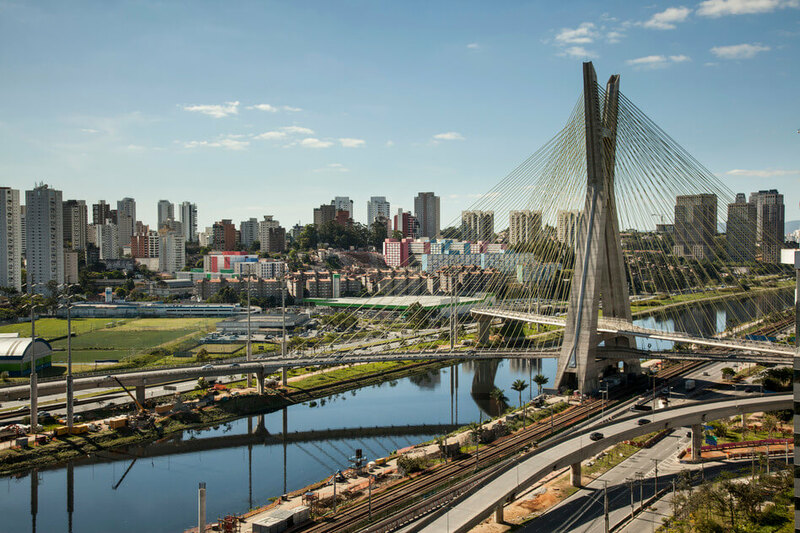 That honour goes to Sao Paulo, with nearly 21 million residents living in a sometimes overwhelming metropolis that acts as country’s financial centre, home to world class museums, dining, architectural sights and a sprawling skyline. The Argentinean capital of Buenos Aires is a must see, not just because of its beautiful European flair (often referred to as the ‘Paris of South America’) but as a bustling metropolis that is so infused with its own heritage and culture, that their 3 million residents have earnt the nickname ‘portenos’ because of their own unique style. And the Chilean capital Santiago, is fast emerging as a new age cosmopolitan city, with neighbourhoods like Lastarria with its stylish hotels, trendy restaurants and fancy boutiques making it the place to stay. As home to a number of different ecosystems, South America offers numerous potential wildlife encounters. 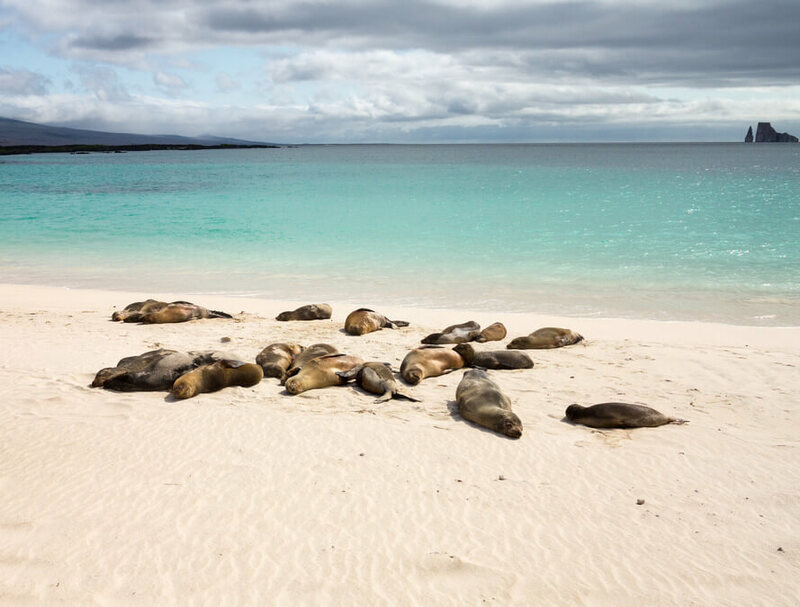 There is one however stands out as incredibly unique, the Galapagos Islands. Ever since Charles Darwin published his theory of evolution in 1859, this group of volcanic islands have captured our imaginations. Located off the coast of Ecuador and hosting a varied number of animals and birdlife including 14 unique species. Because of their isolation and lack of local predators, these animals are unafraid of humans which creates an unrivalled opportunity to get incredibly close up to them. The Pantanal wetlands in Southern Brazil is another region that because of its remoteness is a sanctuary for many types of birds, river mammals and even offers the slight possibility of seeing the elusive predator, the jaguar. 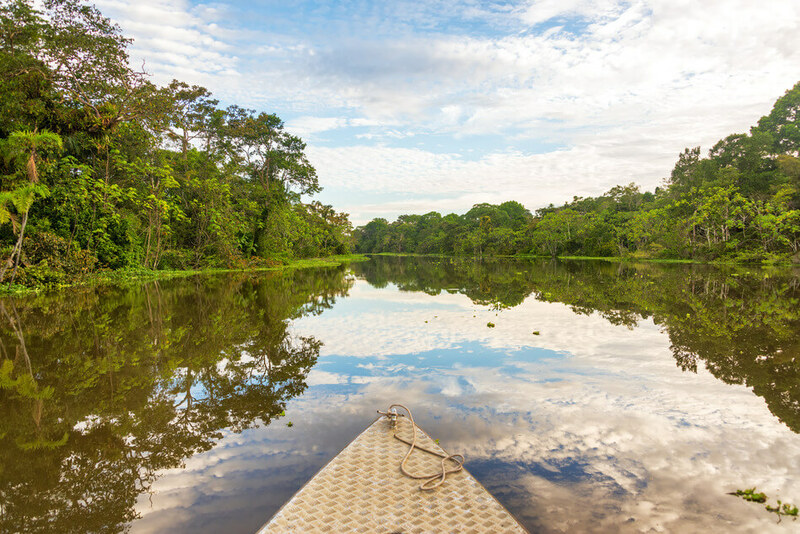 The Amazon basin (which includes both the rainforest and river) covers more than 7,000,000 square kilometres (nearly the size of Australia in land mass) and crosses through 9 different countries (Brazil, Peru, Ecuador, Bolivia, Colombia, Venezuela, Suriname, Guyana and French Guyana). Scientists have classified more than 40,000 species of plants and more than 4,500 animal species in both the forest and river and an estimated 200 local tribes live within its boundaries. A voyage to the Amazon is a chance to reconnect with nature by discovering one of earth’s most valuable and important resources. Often referred to as the ‘world’s lungs’ as it produces and estimated 20 percent of the planet’s oxygen, the options to experience the Amazon range from rustic camps to more comfortable ecolodges or even luxury gourmet cruises depending on your required comfort level. This rings true of so many places within South America but nowhere is the landscape quite as striking and unforgettable as it is in Patagonia. Ever wondered what you’d find at the ends of the earth? The answer is mammoth glaciers, elusive fjords, incredible granite peaks and picturesque mountains. Patagonia is pristine wilderness at its best, with every inch a possible postcard. Imagine a line crossing between Puerto Montt in Chile and Bariloche in Argentina, everything located below that until the most extreme southern tip of the continent is considered Patagonia. Long considered a trekkers paradise, there are many ways to be explore this area, from luxury cruises, soft adventure packages staying in exceptionally well located lodges, vehicle and horseriding excursions to scenic lookouts and even self drive programs available. 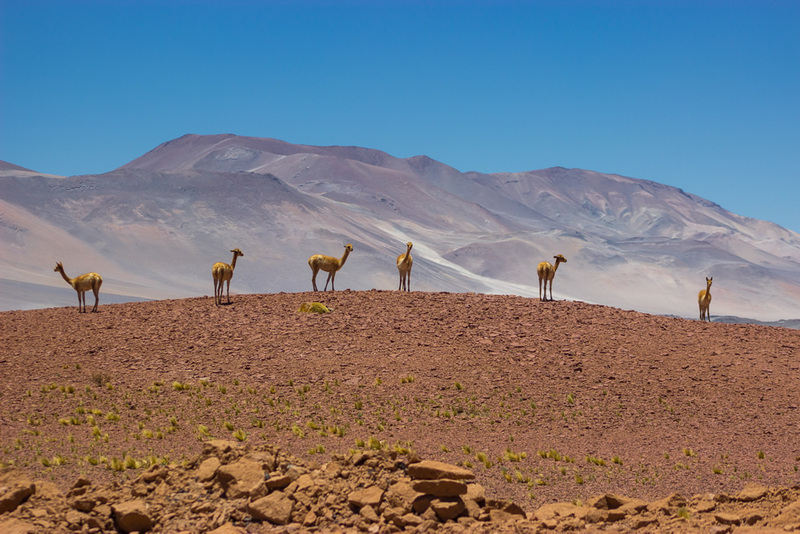 With an arid core close to the borders of Chile, Bolivia and Argentina, South America is also home to less fertile but no less captivating panoramas. The Atacama desert in Chile is the world’s driest but is living proof that you don’t need mountains and valleys for some remarkable scenery. Home to geysers, colourful flamingo filled lagoons, salt plains as well as kilometres of sand, the dramatic colour tinged landscapes are haunting, and are even better at sunrise or sunset. The Salt Plains of Uyuni in Bolivia offer beauty in their desolateness and minimalism, and the northern Argentinean town of Salta combines impressive geographic formations and valleys with stunning lowerland boutique wineries. Did somebody say festival? With music and rythym running through their veins, South Americans know exactly how to stage a memorable celebration, and turn it into an incredible cultural experience. Whilst carnival in Rio de Janeiro is the most famous where two million people are estimated to line the streets each day, this pre-lentern festivity is celebrated all over Brazil as well as some other countries, each city putting their own different spin on it. And bringing in the New Year on Copacabana beach is considered just as big a party. 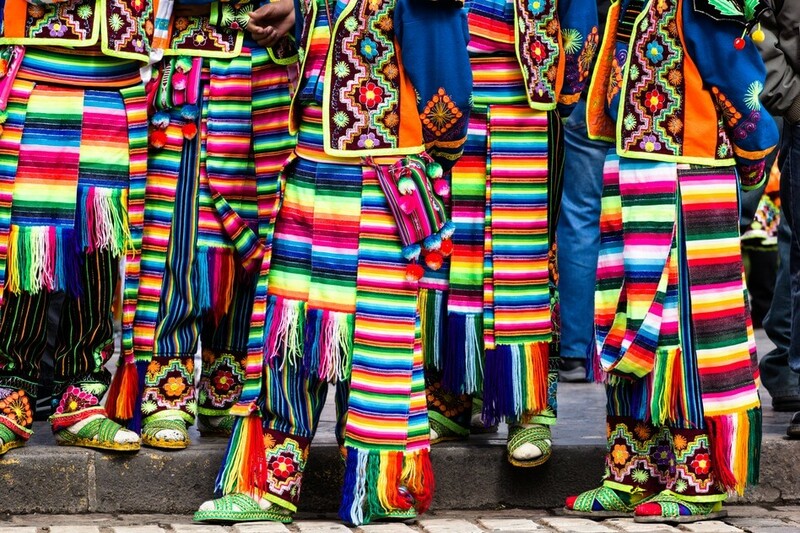 The Peruvian festival of Inti Raymii, held on June 24 each year is the second largest festival of the continent with thousands descending on the Inca site of Saccsayhuaman to honour the sun and carry on the traditions of this great civilisation. And many countries and regions celebrate their own memorial, religious and regional festivals in their own unique style. No other adjective required as this site is truly an icon of South America. When visiting Iguazu for the first time, Eleanor Roosevelt famously remarked “Oh poor Niagara,” and there is little doubt as to why. Almost a third taller than its North American counterpart, Iguazu boasts of 275 waterfalls that span nearly 3 kilometres rightly sit at the top of any tourists list as a must see. Located on the Parana River that acts as the border between Argentina and Brazil, it is possible to see the falls from two different and equally striking perspectives. 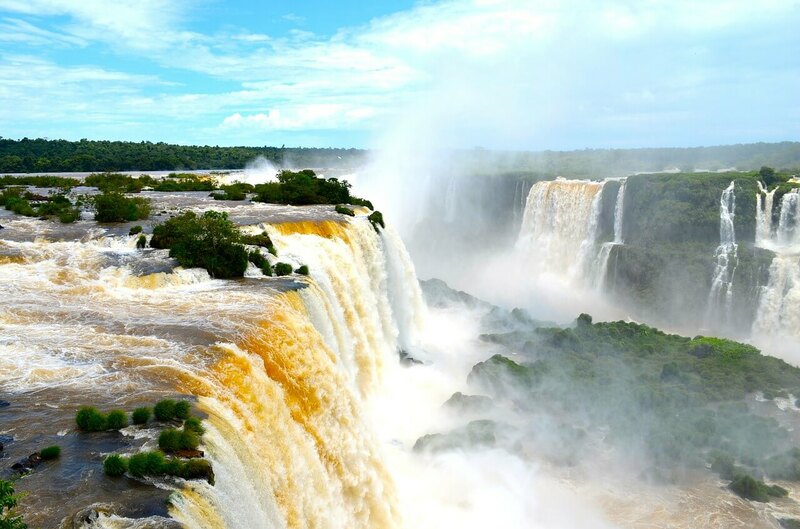 The Brazilian side is more panoramic whilst a tour of the Argentinean falls takes you through different viewing platforms including the infamously named Devil’s Throat, the impressive point through which most water passes. A visit to Iguazu is one of the most unforgettable experiences that should be on your radar as must for travel to South America. 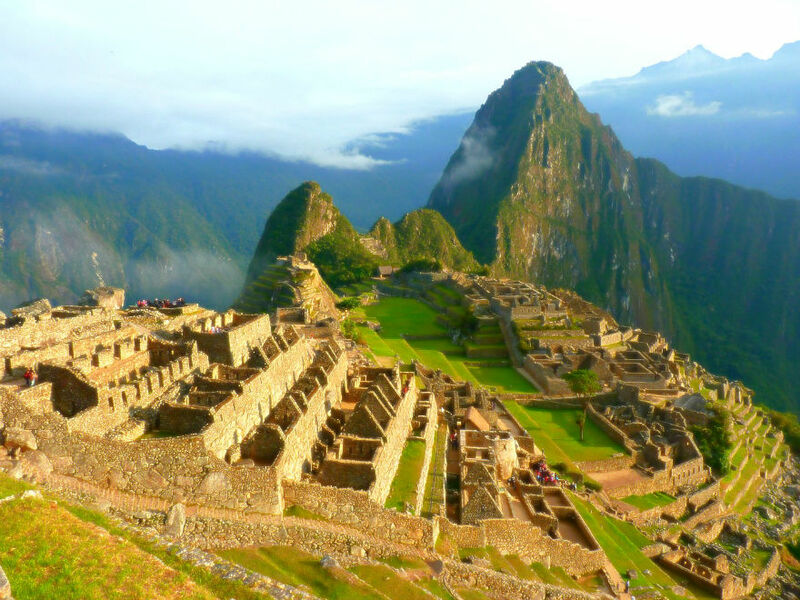 As the Inca civilisation once stretched all the way from Colombia down to Argentina and Chile, their remains can be found in many cities and countries within South America but none is more captivating or unforgettable than Machu Picchu. This citadel is one of the most emblematic remains of a mighty empire and the sheer magnitude of these ruins is enormous, with more than 200 buildings interconnected with agricultural terraces and set on a magnificent mountain top. How these magnificent structures were built with giant sized rocks remains a mystery for archaeologists and tourists alike. Another historic riddle can be found on Easter Island, off the coast of Chile where the beaches are lined with iconic Moai statues.